The recently released on 3DS Mega Man Legacy Collection is just about a perfect product. Not that the six games in the collection are perfect, though Mega Man 2 and 3 are as close as any game comes, but this package is damn near perfect. 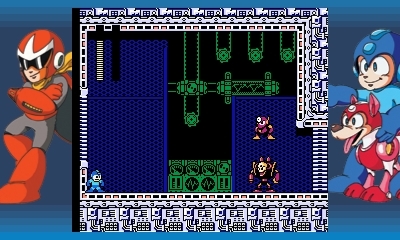 The Mega Man Legacy Collection isn’t just the six NES Mega Man games slapped on a 3DS cartridge; it is a crafted collection that does its best to get to the heart of what made these games great in the first place. One point constantly brought up about MMLC is the accuracy of the ports. This has not been understated. The games play just like they did on the NES, warts and all. For most players this level of accuracy is not necessary. That is why most compilations don’t bother, instead opting to slap as many games on the disc as possible and call it a day. I don’t necessarily mind that approach. It is a great way to discover lost gems. I first encountered Gain Ground on a PS2 Sega Genesis collection. I don’t know if it is a good or accurate port; I do know that it is an excellent game that I likely never would have encountered elsewhere. Even though the usual compilations give players a cheap, effective way to experience old games, it is rarely the best way to replay favorites. A sloppily ported favorite isn’t the game you remember. 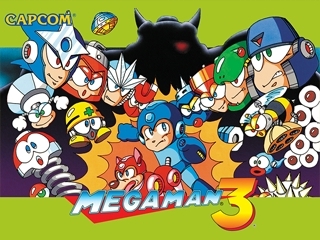 I’ve purchased just about every version of Mega Man 3 available. Except for the NES game, which I borrowed and rented repeatedly, but never actually owned. Even to my untrained eye the 3DS and WiiU Virtual Console version aren’t quite right. For starters, the colors are way off. That is to say nothing of the even more compromised Anniversary Collection version. They are playable, but if you put the up next to the MMLC version of the game it is night and day. The games here look good and play good. What sets this game apart from other such collections is how much care is evident in the extras. Aside from just the games the MMLC includes a wealth of extras. It shows a level of care and thought that isn’t usually present in these collections. The challenge mode is great, as is the ability to practice against bosses whenever you want to. Maybe my favorite part is the extensive Museum mode, filled with art and info about all the bosses and enemies from the various games. It is heaven for a big Mega Man fan. 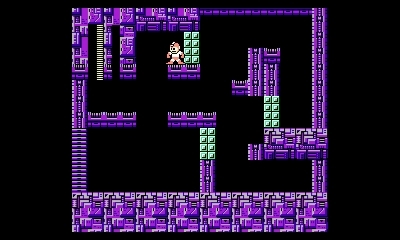 It all comes down the fact that the Mega Man Legacy Collection has six excellent games presented with the utmost care. There isn’t a better way to play these games.